It is our business imperative to ensure our Company operates and grows in a sustainable manner. We strive to work closely with the community to upgrade their standard of living and make a genuine contribution to their lives. During construction of plants, we prioritise the welfare of the community to ensure minimal disturbance to lifestyles, develop housing and oversee maintenance of the roads. 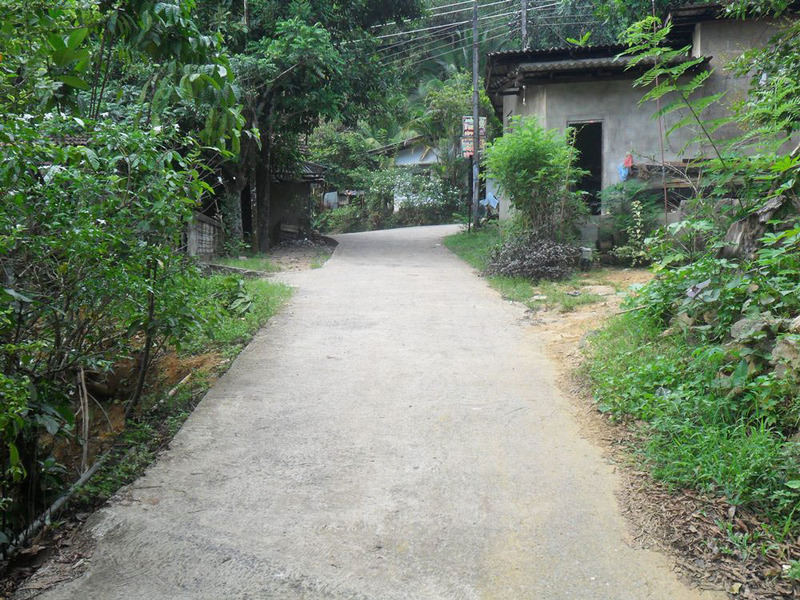 We have, for example, improved access to the village of Halgastenna through the construction of a road to replace the steep and dangerous footpath previously used by villagers. We have also undertaken the repair of the Erathna – Adawikanda road which runs through the main access road to Sri Pada from Kuruwita, and surfacing the road with tar for 1.5 km at a cost of around Rs. 1 million. Each year, we provide financial assistance to local authorities for cleaning the Sri Pada road before the start of the pilgrimage season. For the benefit of worshippers, we have also constructed a place of worship at Sri Pada, and a Buddha statue with a platform for worshipping. Five hundred steps were built at Warnagala for the development of the devotees' footpath, and foot bridges, hand rails and guard rails constructed along the path. 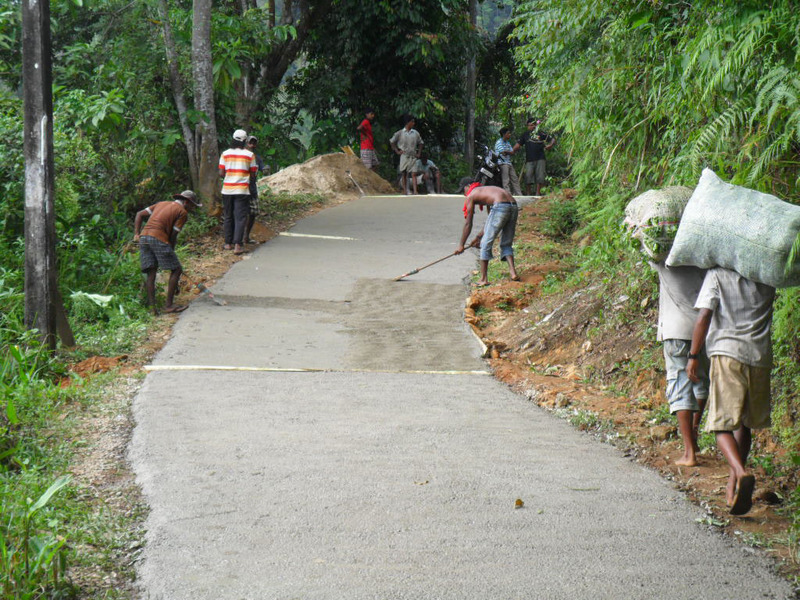 The Kuruwita – Erathna road was repaired for 5 km from Kuruwita to Sudagala, and a side wall constructed at a culvert near Marukanda. We also erected a building for a local school, Erathna Maha Vidyalaya, and rehabilitated the men's ward of the Erathna rural hospital, along with the Kuruwita Police Station. 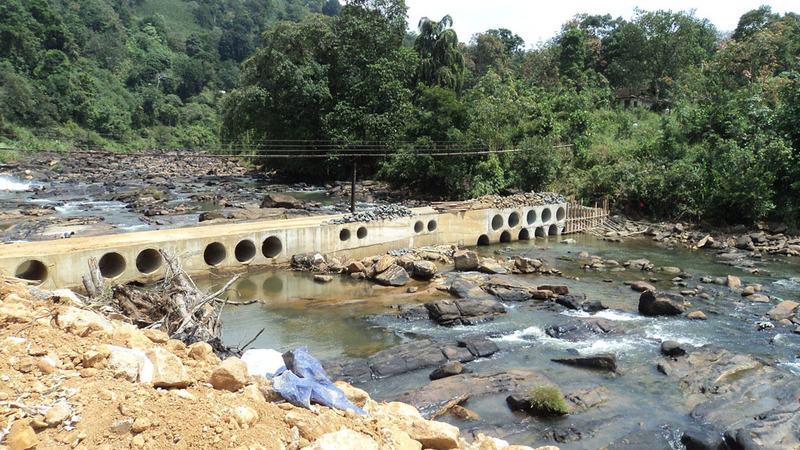 Further, before commencing commercial operations on the two mini hydro power projects Denawaka Ganga and Kiriwaneliya, the Company helped the Ratnapura community in many ways. 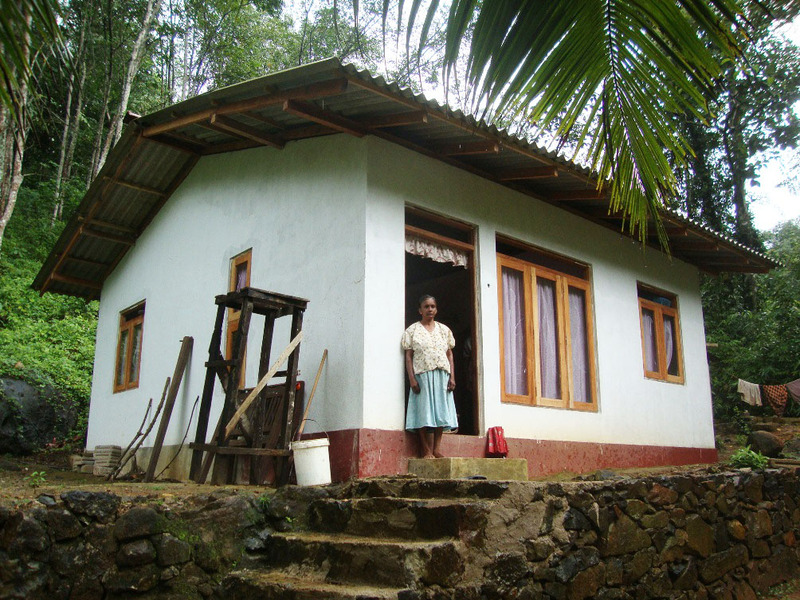 These include purchasing tiles to be lain in Ratnapura-Galabada, Sri Yanabivansharamara, and contributing to a volleyball tournament conducted by the Divisional Secretariat of Ratnapura in commemoration of the 40th anniversary of the Ministry of Public Administration and Home Affairs. We also purchased timber to develop the community hall in Durekkanda and contributed to Sri Gangaramaya, Rathgaga as part of a flood relief campaign organised by the temple. Our CSR projects have also included providing scholarships to the Kirulapana Sri Somananda Daham Pasala, purchasing books and school stationary for under-developed schools of the Durekkanda area, and making financial donations to disadvantaged patients for heart operations. The community remains the bedrock to our existence. They also form a truss of our responsibility in ensuring that the energy we produce impacts them positively, meeting their energy needs in the larger sense while creating a conducive environment for them to exist in, in the immediate. We work on two platforms of community empowerment: Creating Knowledge Bases and Developing Infrastructure. These are primarily driven in the three locations in which our projects are based as we strongly believe that our presence in that community must be a proactive one, where the community views our presence positively and as a partner to their progress. The very ethos of our employee strategy is that of creating knowledge, and thus creating avenues for self-development among the young people of this country. Given that 48% of the people we employ within our team are sourced from the community, the fact that they all undergo training once recruited to gain or enhance their skill and knowledge levels, is very strong within our community development policy. In addition to improving the knowledge levels of the young people within these communities, we also provided equipment for children at the Nethmini Preschool in the Durekkanda Village and the Kiriwaneliya Pre-school in a bid to making their study environment better. The Sri Somanada Daham School also benefited with a donation towards their activities, while the Sri Gnanabiwansharamaya Daham School Galaboda was restored. The fact that we provide power to the country through renewable clean energy will undoubtedly contribute towards the national infrastructure development agenda, which benefits, eventually cascades to the wider communities around the country. However, in an identified sense, we have embarked on some infrastructure development initiatives at community level which included the restoration of the Erathna-Adawikanda Road, Meegastenna Road in Malwala and the concreting of the Sri Sambuddathwa Jayanthi Road in Kiriwaneliya. 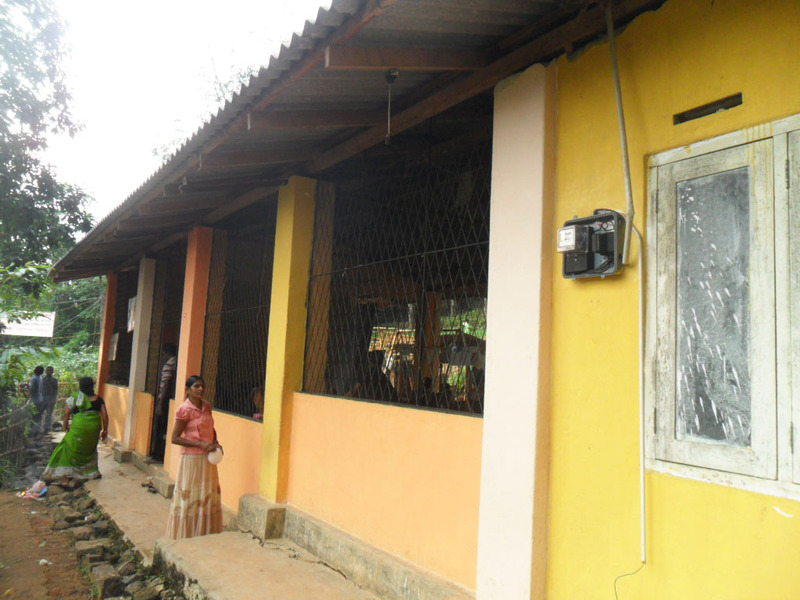 Two community halls for the use of the village communities were also restored with a better constructed building and equipment at Durekkanda in Denawaka Ganga and Koththallena in Hatton. One of our larger initiatives and one which gained much noteworthy appreciation from the community was the construction of the Atikehalpola causeway bridge across the Denawaka River, enabling the villagers to safely cross the river. Two temples also received assistance from us: the restoration work conducted for the Sri Sumangalarama Temple and the Vimalaramaya Temple in Kiriwaneliya. With both Kiriwaneliya and Laxapana having the potential to promote nature tourism within its localities, we heeded to a request by the community, erecting 'Nature Signage' for the villages promoting the tourist attractions available within.